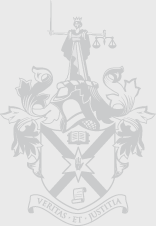 The Law Society of Northern Ireland as the governing body of the solicitors' profession in Northern Ireland has in exercise of its statutory powers, prescribed the legal education and training necessary to qualify as a solicitor in Northern Ireland. There are several routes into the profession which are detailed below. The organisation in Northern Ireland which offers the vocational training route to become a solicitor is the Institute of Professional Legal Studies, part of Queen's University in Belfast. Solicitors Admission and Training Regulations 1988 as amended [Regulation 8(1)]. (c) have obtained a Master (a solicitor with whom the applicant proposes to serve his/her apprenticeship). Please note that the applicant's law degree must contain eight core subjects (see below). Those applicants who have not been examined in the Law of Evidence should advise the Society at the time of the relevant application so that arrangements can be made for them to sit the appropriate examination. All applicants to the Institute must sit an entrance examination in the December prior to the year they wish to take up a place at the Institute. All prospective applicants who wish to sit the entrance examination must apply to sit the exam. Details of the application procedure can be found on the website of the Institute of Professional Legal Studies. It should be noted that applications must be submitted and received by the Institute of Professional Legal Studies by 15th November each year. Please note that students who commenced their degree course prior to September 1996 should have Company Law as a core subject. Company Law has now been replaced by European Law (see above). (b) that he/she has been offered a place in the Institute. For applicants using the above route the Masters of Legal Science awarded by Queen's University, Belfast will be accepted as sufficient evidence of the satisfactory level of knowledge of the relevant subjects. All enquiries regarding this course should be directed to the School of Law, Queen's University, Belfast. The applicant can satisfy the Society that having attained the age of 30 years* he/she has acquired such special qualifications and/or experience as to render him/her suitable to be accepted as a registered student. Applicants using this route should note that the standard of general education required is matriculation standard i.e., the general standard required for admission to Queen's University Belfast or the equivalent thereof. Please note: An applicant under 8(5) is not presently required to have attained the age of 30 years. Please note: there is a closing date for applications under the alternative routes. Wednesday 10th April 2019 at 5:00pm. Any person who wishes to apply under Regulations 8(5) with a view to admission to the Solicitors’ Vocational Training Course at the Institute commencing in January 2020 (apprenticeship starting September 2019) will have to lodge an application with the Society by 5.00pm on Wednesday 10 April 2019. Any applications under Regulation 8(5) received after 10 April 2019 will be considered for the next vocational training course for solicitors, which would be due to start in January 2020 (apprenticeship starting September 2019). The underlying principle of the professional education of a solicitor is that if involves a combination of practical in-office training and formal academic instruction. The period of apprenticeship as it is known will commence on the first Monday in September each year for applicants using routes 1 and 2 the period of apprenticeship will be 2 years. For applicants choosing route 3(a) it will generally be 4 years and for route 3(b) it will be whatever period the Society determines. (c). January to August - spent in-office. In order that a student can take up their place at the Institute of Professional Legal Studies he/she must register with the Law Society by 5.00 p.m., on the Monday two weeks before the first Monday in September (i.e., the date of commencement of apprenticeship). He/she must have a Master (a solicitor with whom the applicant proposes to serve his/her apprenticeship). Registration involves the completion and lodging of a set of forms provided by the Society. Finding a Master is the responsibility of the applicant. It should be noted that applicants do not need to wait until they have been offered a place at the Institute before registering with the Society and are advised, on securing a Master, to register conditionally. If they do so they will be in a position to take up a place even if it is offered late. If they do not receive an offer the conditional registration will lapse. The Society would advise that arrangements to enter an apprenticeship should be made at as early a date as possible and would emphasise that anyone who fails to lodge the Apprenticeship Contract by the due date will not be considered for registration as a student of the Society. Please note that applicants must satisfy the Society's Education Committee as to their suitability to be accepted as students of the Society and produce for that purpose such evidence as to character and fitness as the Committee may require. No applicant will be registered if he/she is an undischarged bankrupt or if he/she has been convicted of a criminal offence of such a nature as to make his/her registration undesirable or if for any other reason he/she fails to satisfy the Committee as to his/her fitness to be a solicitor. It should be noted that the applicant's proposed Master must also be acceptable to the Society. The acceptability of masters is governed by separate regulations. The principal requirements of these regulations is that the proposed master must have been admitted for at least 7 years and must have been a principal for at least 3 years. Both Master and Apprentice must co-operate with the Society should the Society require an assessment to be made of the quality of training during apprenticeship. Permission from the Society should be obtained with regard to any proposed transfer of Apprenticeship. Once a student has passed all the relevant examinations and satisfied the Society that he/she has received a proper training he/she can make application to be enrolled as a solicitor of the Court of Judicature in Northern Ireland. Once enrolled he/she may apply for a Practising Certificate. Newly qualified solicitors are restricted from practising otherwise than as employees for a 3 year period. This can be reduced to 2 years by attendance at the Society's Continuing Professional Development programme which is a programme of lectures, seminars and workshops. A newly qualified solicitor must accumulate 45 hours CPD over 2 years before the period can be reduced. Further details on CPD can be found in the CPD section of the website. These notes are intended to be a guide only. It is the personal responsibility of each intending student to acquaint himself/herself with the relevant provisions of the Society's Regulations and requirements.